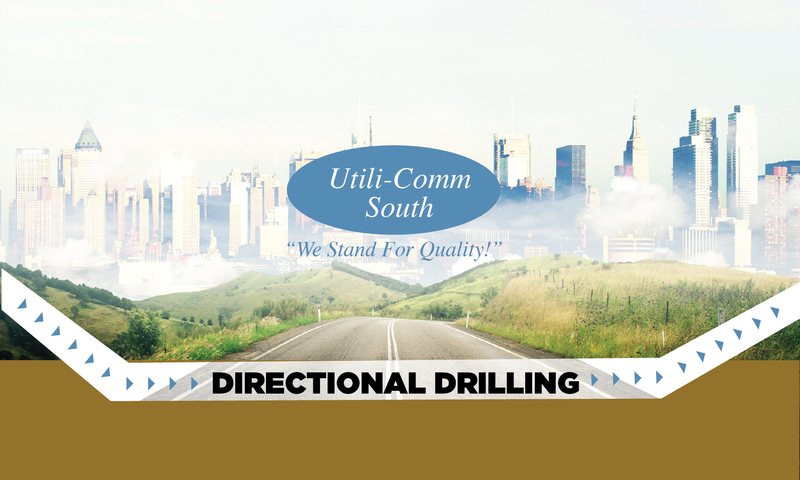 Utili-CommSouth provides professional directional drilling, allowing our clients to connect underground utilities without disturbing above-ground surfaces and structures a well as pre-existing underground structures, utilities and cabling. Using a 12″ Core Drill, we obtain a cross section of earth before we begin pilot drilling without disturbing the surrounding environment. We save customers time and money. Utili-CommSouth’s directional drilling capabilities mean you can avoid extensive excavation when laying cables and other underground utilities. Utilicomm South was started in 2000, serving the cable industry as a prime contractor performing installs, MDU rewires, structured cabling, drop bury and directional drilling services for companies such as Comcast and Charter. With an eye on the future, we prepared for the fiber revolution, adapting our business model to move forward into exciting new arenas well prepared by our decades of experience. Our corporate office is located in Gainesville, Georgia with field offices in Florence, Kentucky and Indianapolis, Indiana. From the start, our motto has been “We Stand For Quality!” And we have been living up to it one customer, one job at a time! We perform for our customers to exceed expectations based on their metrics and our own high standards of excellence. Our team members are committed daily performance improvement, to helping our communities stay connected, and to corporate citizenship through ongoing charitable support of civic organizations that make our communities a better place to live. We know that our employees provide the face of Utili-Comm South to our customers and work diligently to provide initial and ongoing training to the qualified individuals who join our team and enter the world of telecommunications. Utili-Comm South is proud to support Sisu (formerly Challenged Child and Friends), which offers an integrated learning environment where children from 6-weeks to 6-years with special needs learn and interact alongside their typically developing peers. Providing premier directional drilling services for the tri-state.